1992 saw the first ceremony at Adas Israel Garden of the Righteous, where Jan Karski was honoured as the first Righteous. 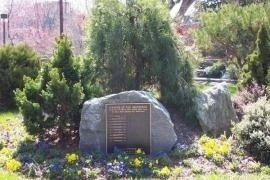 Every year a plaque is placed in a corner in front of the synagogue in the presence of the Righteous or a relative, or those who have received his help. In 2008 the honours were bestowed on Tunisia's Khaled Abdul Wahab, for whom a tree would be planted the following year in the Garden of the Righteous worldwide in Milan. In the website of Adas Israel Congregation the section devoted to the Garden contains a list of the Righteous people who have been honoured until now.